I read about this in the June 2011 edition of Edible Vancouver, a publication that I look forward to each month. 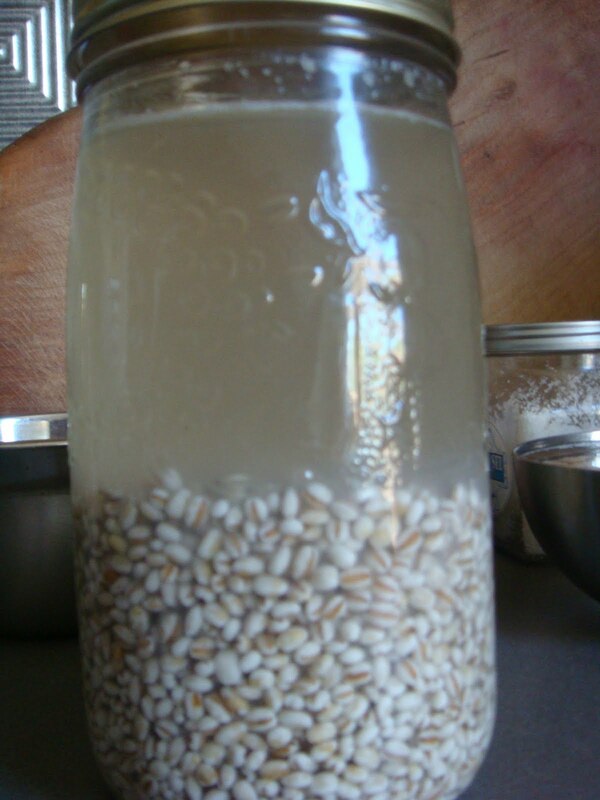 In addition to being very hydrating, due to its levels of electrolyte replenishing minerals, the water holds nutrients that may have been removed from the grain during the soaking process. First rinse your pearl or pot barley, then soak the grains overnight. The product is barley water. It is a milky, slightly tart water with a silky texture. 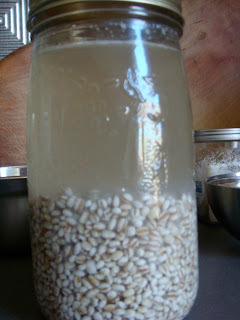 It almost resembles cultured water or a light (water) kefir. Adding a delicate sweet flavor compliments the tartness so I tried one batch with honey and a pinch of unrefined sea salt. If you’re into nerdy uber-health foods that have roots in local history as opposed to being the latest miracle food picked wild from the Himalayas by peasants then this might be something worth trying. It tastes very refreshing chilled, on a hot day, coming in from working in the garden or some other summer delight. This is a traditional beverage that farmers used to drink when they were working in the hot sun. It quenches your thirst better than water and is much healthier than soft drinks. Mix all ingredients and leave at room temperature for several hours or overnight. Makes about 1 gallon.